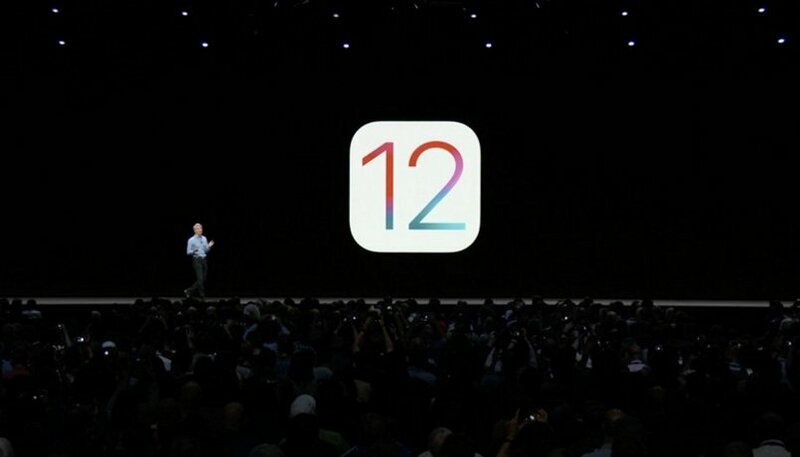 As Apple company does every year, this year as well they unveiled a lot of awesome things in their annual conference known as WWDC 2018 and the highlight of the keynote was definitely the unveiling of the iOS 12 update. If you are an iPhone fan for a long time, and you make sure to always have the latest device, then you’d want to know more about this new OS update and how it will affect your smartphone or tablet. On surface, there doesn’t seem to be many changes, but the update is bringing new things like hidden features and performance improvements that will certainly benefit you as an iPhone user. So, in this article, we will share with you some of the best new iOS 12 features that you should probably know about because the new operating system will ultimately make its way to your device as well! After the buggy iOS 11, the company has spent a lot of time trying to solve all those issues and making sure that none of those problems appear in iOS 12. As expected the latest software update will bring a lot of improvements under the hood that will make your iPhone much faster. 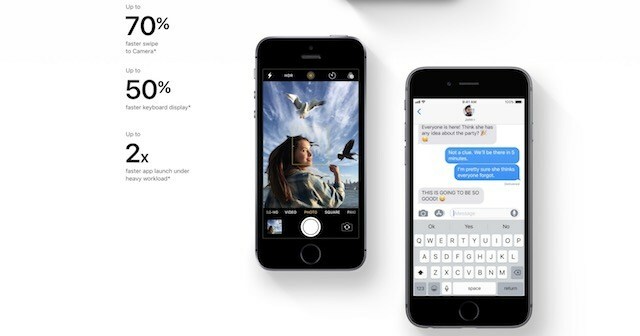 According to Apple, there will be a considerable difference in before and after load times as the camera launches will be 70% faster, keyboard display will be 50% faster and the app launches will be almost 2 times faster. Moreover, these new improvements are not only for current generation of iPhones, but also for older generation of supported devices. 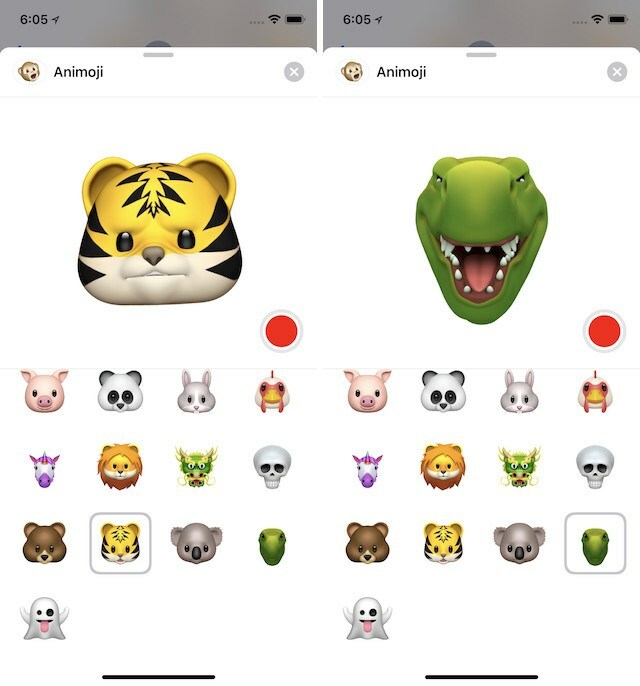 There will be 4 new Animojis in the iOS 12 update which includes a ghost, a koala, a tiger and a T-Rex. Moreover, it now has a tongue detection feature which can detect if your tongue is out or not. Apart from the new Animojis, the update will also introduce Memojis, which means you can create your own personal Animoji. You can change the hair, the eyes, the color of the skin, the face and make it look exactly like you. There have been mixed opinion towards Animojis, so it will be worth to see how people react to the latest Memojis. Although there hasn’t been any major improvement to Siri, which is miles behind what Google Assistant can do; but the company did reveal certain new features that they have developed for Siri. With iOS 12, you will now get “Siri Shortcuts” which will essentially open Siri to third-party developers allowing them to better integrate the assistant with their own applications. This means that you will be able to create custom shortcuts to open the app instantly or perform a certain functions without wasting any time. Moreover, there will be certain per-configured shortcuts in the app to help you out if you don’t want to create any shortcuts. This was one of the most requested feature and it seems that the company finally listened to its users and added the Group FaceTime in the iOS 12 update. 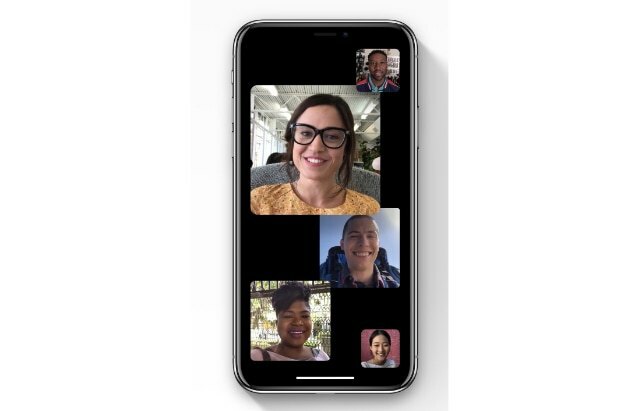 You will now be able to FaceTime with up to 32 people simultaneously and the new interface is also much better. The app will have a tiled interface and the tile of the person who’s speaking will automatically become larger which means you won’t lose the track of the conversation at any point of time. Moreover, you will also be able to use Animojis and Memojis while video chatting so get ready to see some weird camera effects in the coming days. With iOS 12, Apple has announced a much improved version of ARKit 2 with a new AR file format, USDZ. The company created this new file format with Pixar for quick sharing of AR files across devices without any loss in the quality of those files. 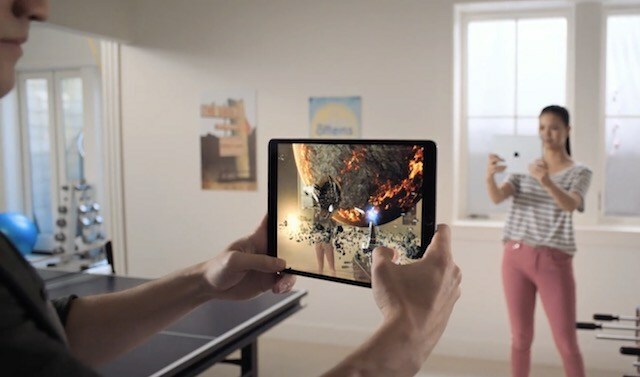 There is also the “Shared Experiences” feature that will allow multiple users with multiple devices to see and enjoy the same AR experience at the same time. Apart from that, you will notice considerable improvements in face tracking and realistic rendering as well. Ever since the launch of iPhone X, the users all around the world have been hoping for a near bezel-less iPad Pro as well; but for now, they will have to make do with this recent iOS 12 update that brings all the gestures of the iPhone X to iPads. Apart from that, there is one other feature that iPhone X brought that wasn’t very well received. In order to clear the recent apps, people had to tap and hold on to them; but with iOS 12, that feature is gone and now all you have to do is swipe on the screen in order to clear all the recent apps. The Do Not Disturb mode is getting some really good improvements with the iOS 12 update as there’s a new “Bedtime Mode” that will activate the DND mode and not display any notifications on your smartphone’s screen. Moreover, you can now schedule the to go on and off from inside the Control Center. There’s a new “Screentime” feature that will give you weekly reports on how often do you use your device and how much time you spend on particular apps. Moreover, you can now set “App Limits” as well which means that you’ll receive a notification if you’ve been using an app for too long. You can set it up for yourself or your kids to let them know that it’s time to keep the phone away. Photos: The Photos app has gotten a complete overhaul as users will now see a 4-tab navigation system which includes Photos, Albums, For You and Search. News & Stocks: The app gets a new feed where you will see the top stories from trusted sources hand-picked by Apple’s news editorial team. There’s a browse tab as well to find new topics and stories. 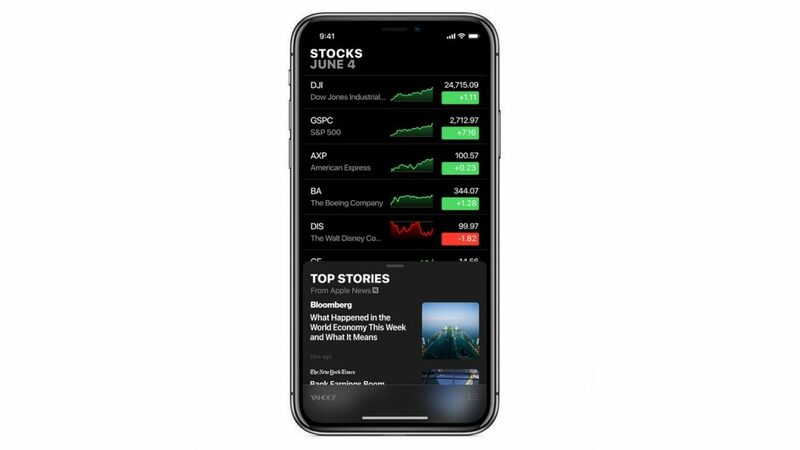 Moreover, the Stocks app will have new charts showing the stock performance throughout the day and also display the top stories and news curated by the Apple editorial team. Apple Books: It features an all-new design allowing users to make the most out of it. There’s a new “Reading Now” tab whose function is quite self-explanatory. Measure: This brand new app from Apple uses the ARKit 2.0 to measure the dimensions of various items and also function as a lever tool. Voice Memos & CarPlay: All your recordings will stay synced across all your devices with iOS 12 and the CarPlay will now support third-party traffic apps as well. So, did you liked all the new features and improvements that Apple’s been working on for their iOS 12 update. If you liked it, then there’s more to show you as this are just the top features that everyone needed to know. Since iOS 12 is still in development phase, new features might be introduced at a later date and chances are that some of these features might not make it to the official build. So, we’ll have to just wait and see if which of these features, and new ones, that iOS 12 is bringing to the iPhones and iPads once it’s released in September this year! Next articleHow to do surveillance on Your Employee’s MAC Laptop?